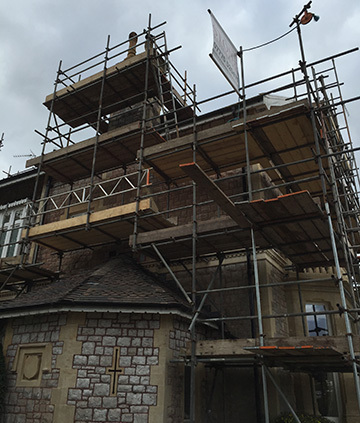 Chew Valley Scaffolding Services provide outstanding scaffolding hire, including domestic scaffolding solutions, in Bristol and Bath and the surrounding areas. Our strict company regulations are important to us at CVSS, from how our scaffolding looks on site, safety protection procedures and especially with regards to how our workers act and work on site. We are proud to say the behaviour of our scaffolders is always very dependable and we do not stand for anything less than the greatest respect for every customer, in order to maintain our good reputation as a scaffolding business in Bristol you can trust. For more information please email or phone us. We always strive to deliver complete satisfaction. If you would like to see testimonials from our previous customers please get in contact and we would be more than satisfied to pass them on. We are happy to take on any difficult or challenging location that requires scaffolding. CVSS will rise to the challenge in order to erect safe and practical scaffolding that protects operatives, the public and vehicles at street level, and the building itself. We have the greatest respect for our clients and their property, always keeping the site clean and tidy and adhering to the strictest of Health and Safety standards. You can trust our scaffolders in Bristol to respond to your needs and construct scaffolding for any requirement, and then be responsible for its safety throughout operations and during disassembly. 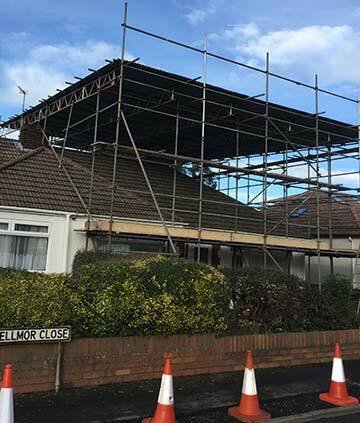 Contact us today for scaffolding hire in Bristol that you can depend upon.